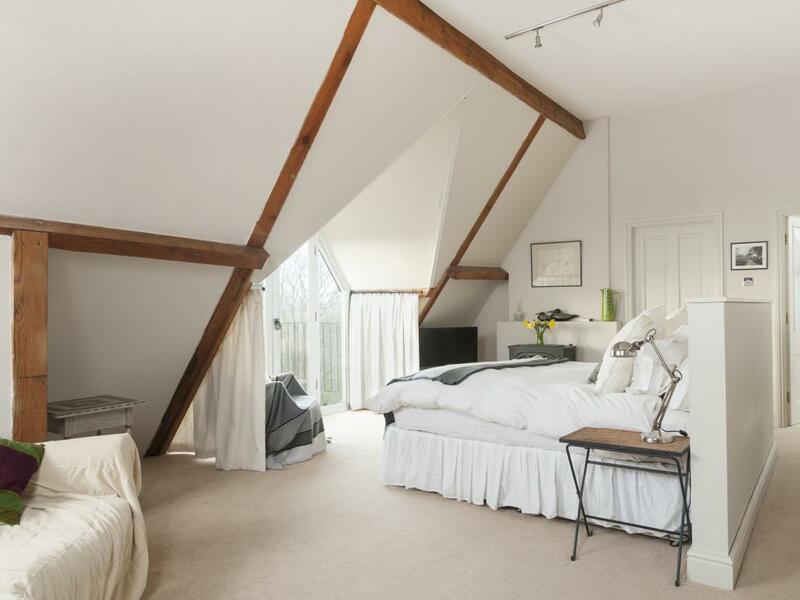 Measuring over 500 square feet, The open-plan studio at the top of the house, decorated in contemporary tones, has a gloriously comfortable super-king bed, a sitting area with sofa, a desk to work at and a flat screen TV and DVD with a library of films. 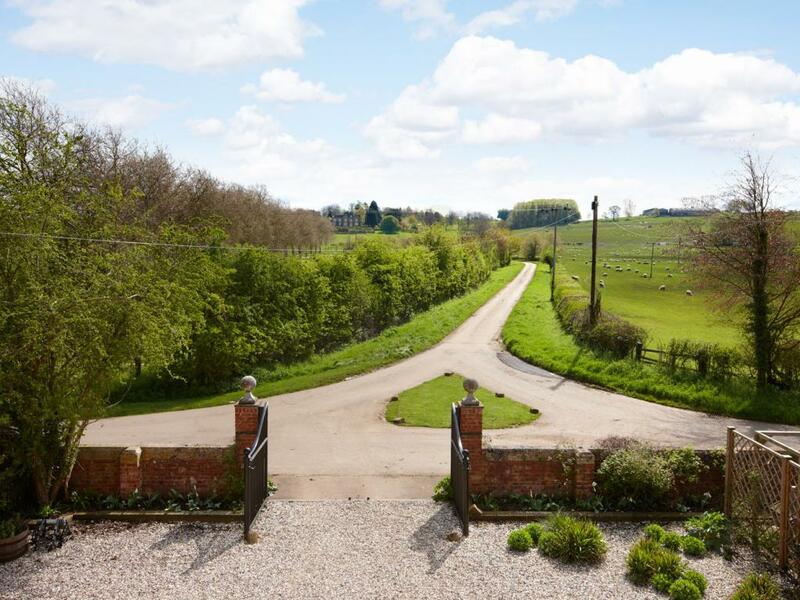 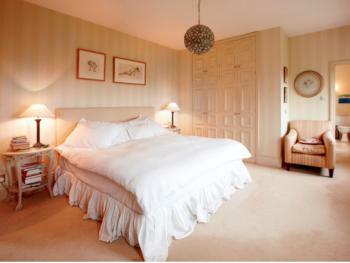 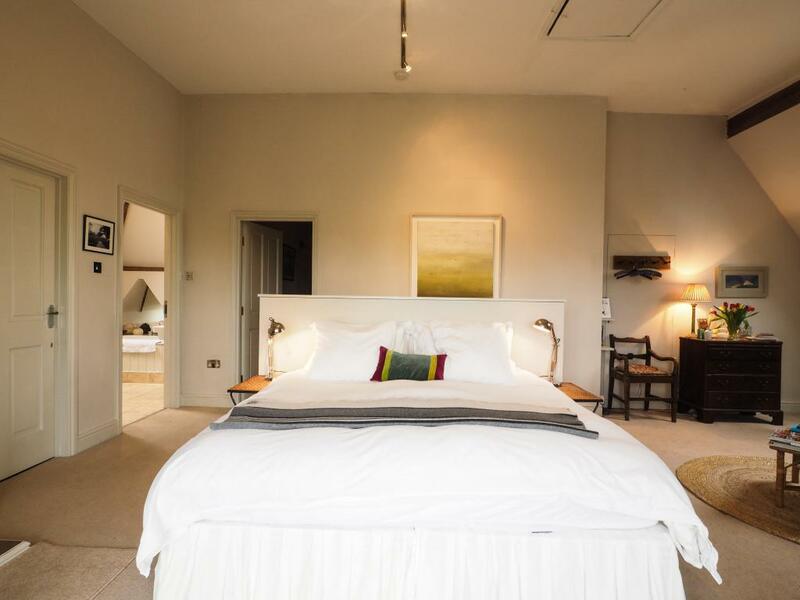 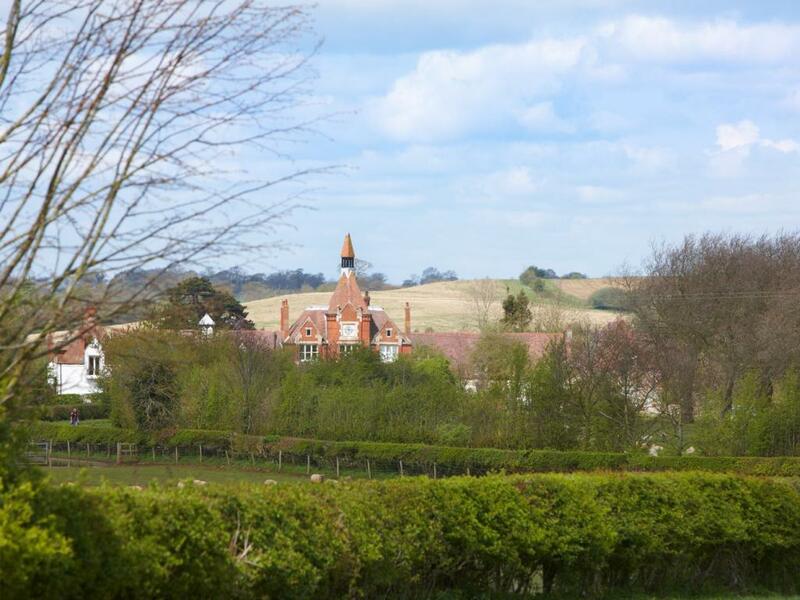 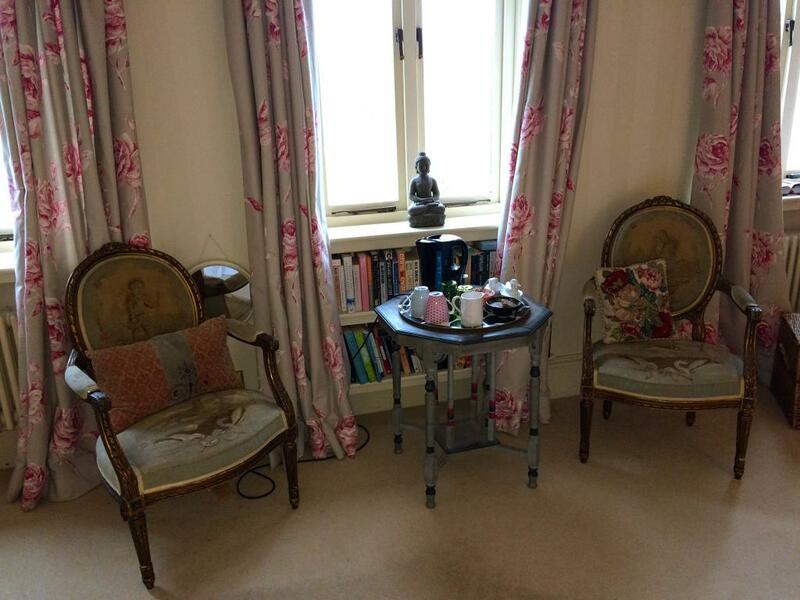 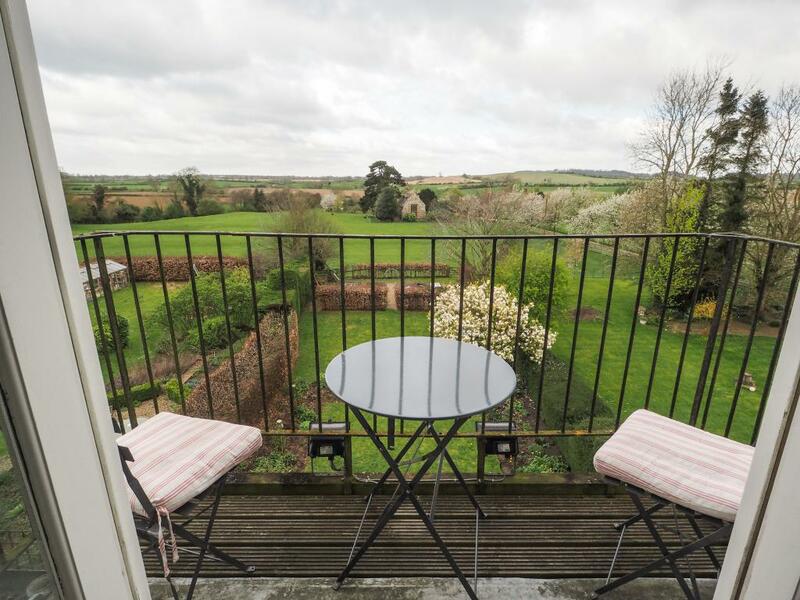 The suite also has a wood burner and a balcony with commanding views over the unspoilt countryside. 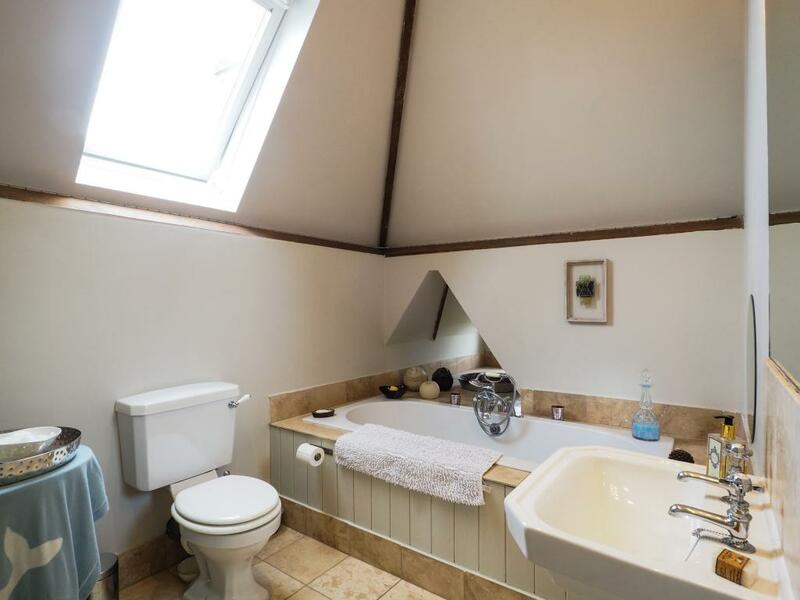 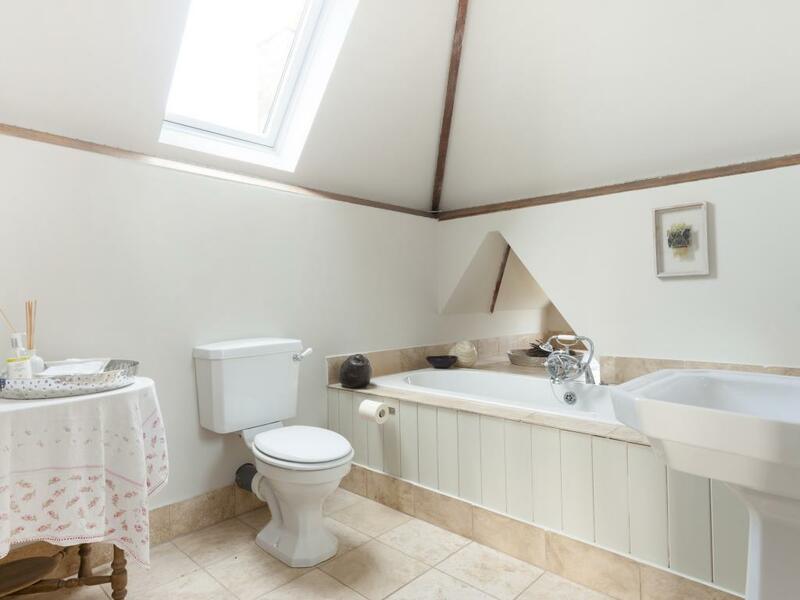 The adjoining bathroom is light and airy and there is a view onto the countryside through a round window from the spacious bath. 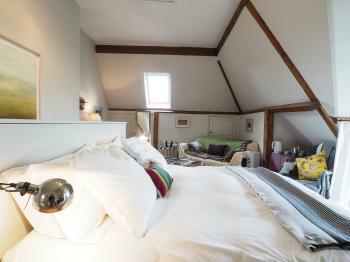 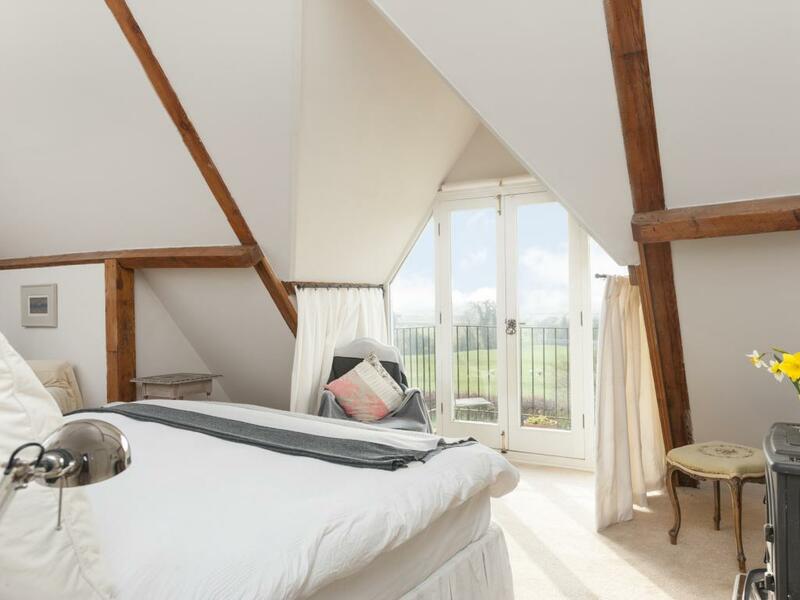 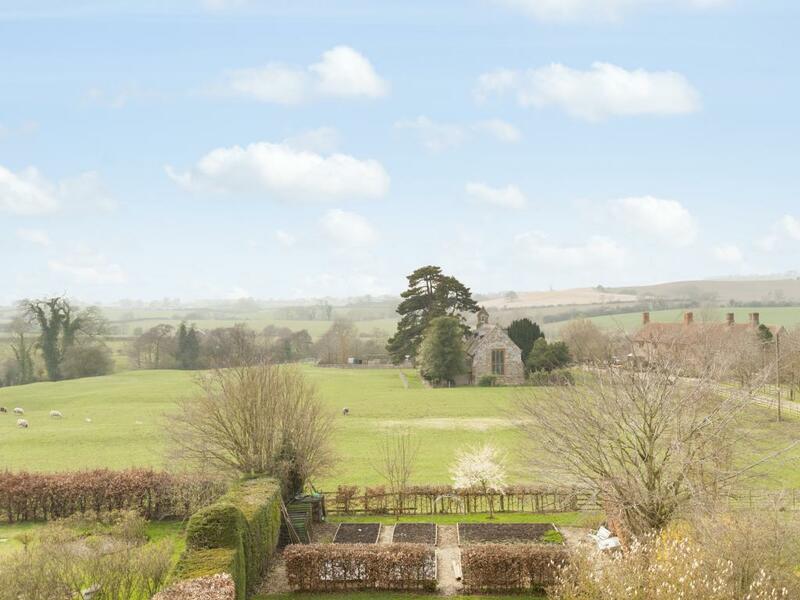 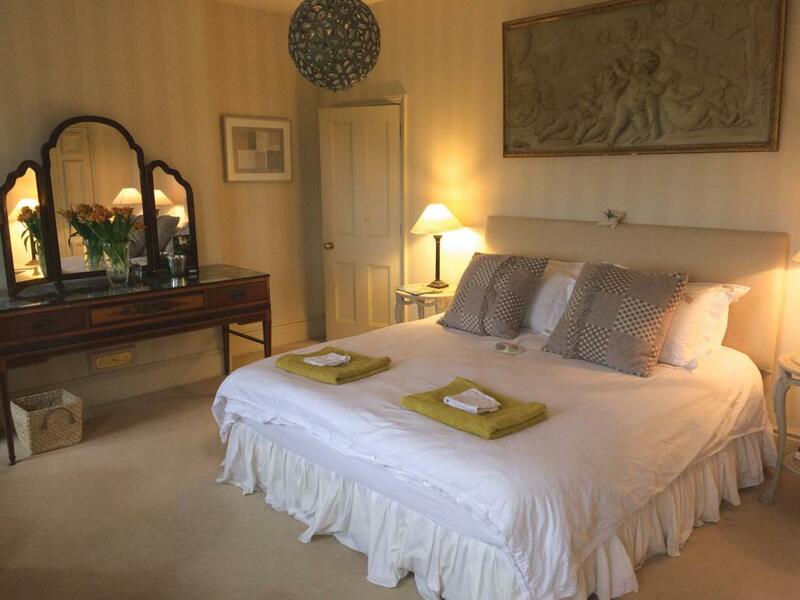 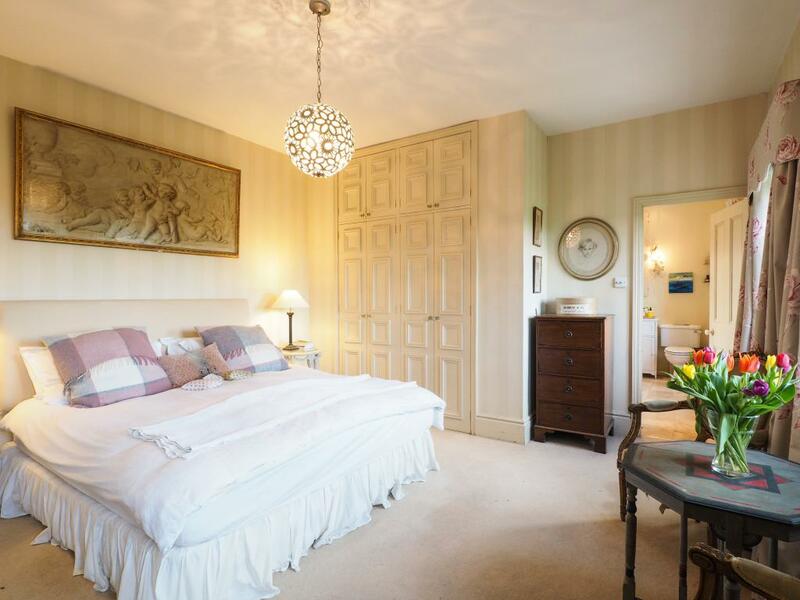 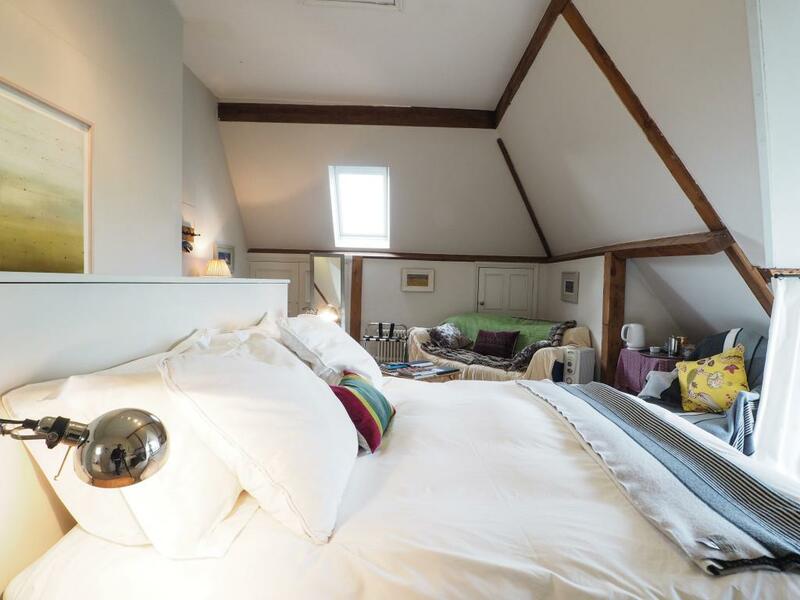 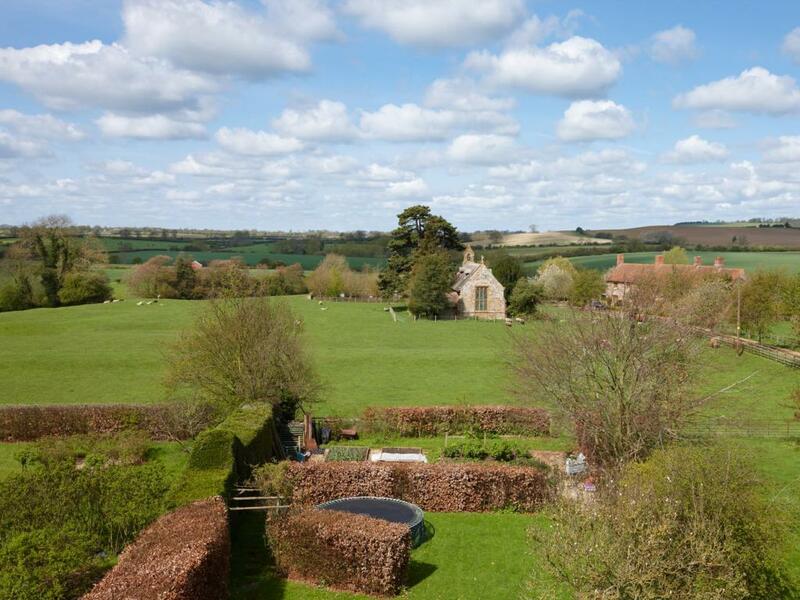 Measuring over 450 square feet, this delightful double bedroom, decorated in a more traditional style is light and spacious with a king-size bed and overlooks the charming and historic Catesby church. 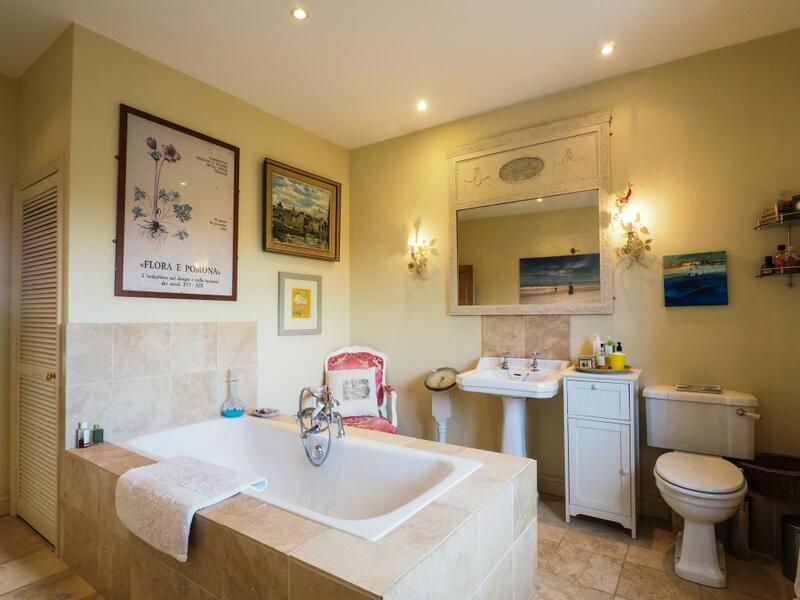 It really comes into its own in the evening with a view of the most beautiful sunsets that can be particularly enjoyed from the super-size bath in the adjoining bathroom.